Since then, my infatuation with Mars has been fueled by countless sci-fi novels, movies and TV programs, as well as many books and magazine articles of science fact. Perhaps the best of this bunch is Ray Bradbury’s short story collection, The Martian Chronicles, published in 1950. This work of literature is timeless. By the way, I wrote this article as a dramatization, because it’s so much more fun that way, and I hope readers will find it as interesting and entertaining as I had writing it. I’ve also made the story as scientifically authentic as possible while maintaining a sense of mystery. Machines have visited Mars since the 1960s, leaving enough hardware on the planet to create the largest work of space art in the Solar System, but now it’s finally time to send humans there. People had wanted to go to Mars much sooner – the 1990s as envisioned by many scientists, writers and enthusiasts - but now the money is right, which makes all the difference in the world. 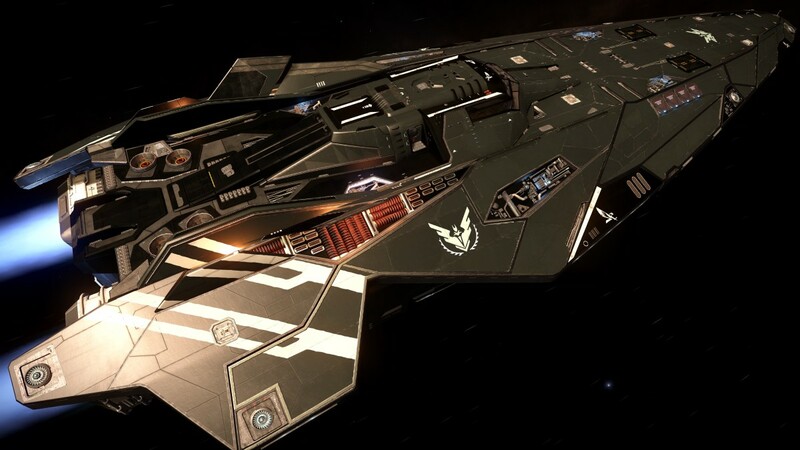 Funded by a multinational consortium with the acronym MINT (Mars in No Time), the mission is called Ares Bullet. Small, light and quick is the cheapest way to get to Mars. The spacecraft needs to weigh little, require little fuel and contain a minimum amount of supplies for the crew. For reference, it costs about $10,000 for a chemical rocket to propel a pound of payload through space. This cost had to be brought down significantly or nobody was going to Mars until they were willing to pay at least $100 billion in U.S. dollars for one very heavy spaceship that would take at least six months to get to Mars. And if the astronauts wanted to stay at Mars for many months or years, the cost would skyrocket. Plainly, the solution to this problem was to produce a relatively cheap yet efficient propulsion system to get to Mars in “No Time”! This realization led to the production of a 50-foot spacecraft named the Zephyr, designed to take a crew of three to Mars in as little as two weeks. 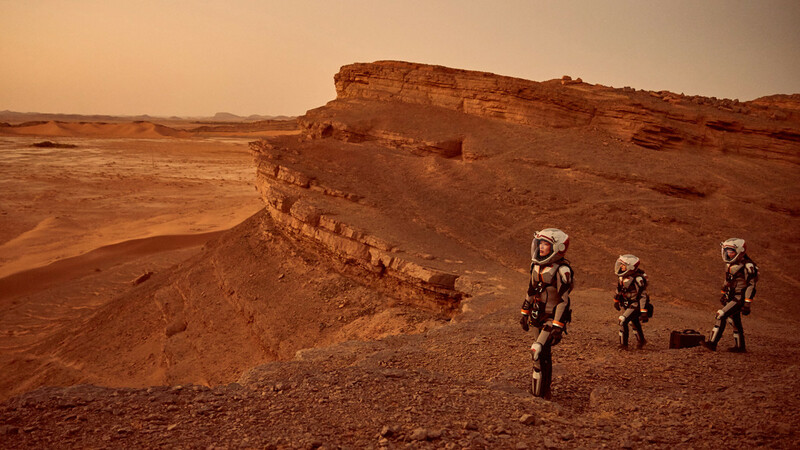 But the crew wouldn’t be able to stay at Mars for months or years, much less colonize the planet. The crew could stay for only two weeks and then return home. However, the hierarchy at MINT didn’t care, because it’s the spectacle and adventure that counts the most. Built in orbit at the International Space Station (ISS), astronauts took two years to construct the Zephyr, at a cost of about $5 billion, including the cost of the lander. The propulsion system for the Zephyr is revolutionary; it’s called a positron reactor. The positron, by the way, is the anti-particle of the electron, so the ship will be powered by antimatter, which, in the reaction chamber, heats liquid hydrogen, thus producing thrust for the spacecraft. It seems the hypothetical engineers of Star Trek’s Enterprise, supposedly powered by antimatter, had the right idea! Unfortunately, producing antimatter is very expensive, though a little goes a very long ways. 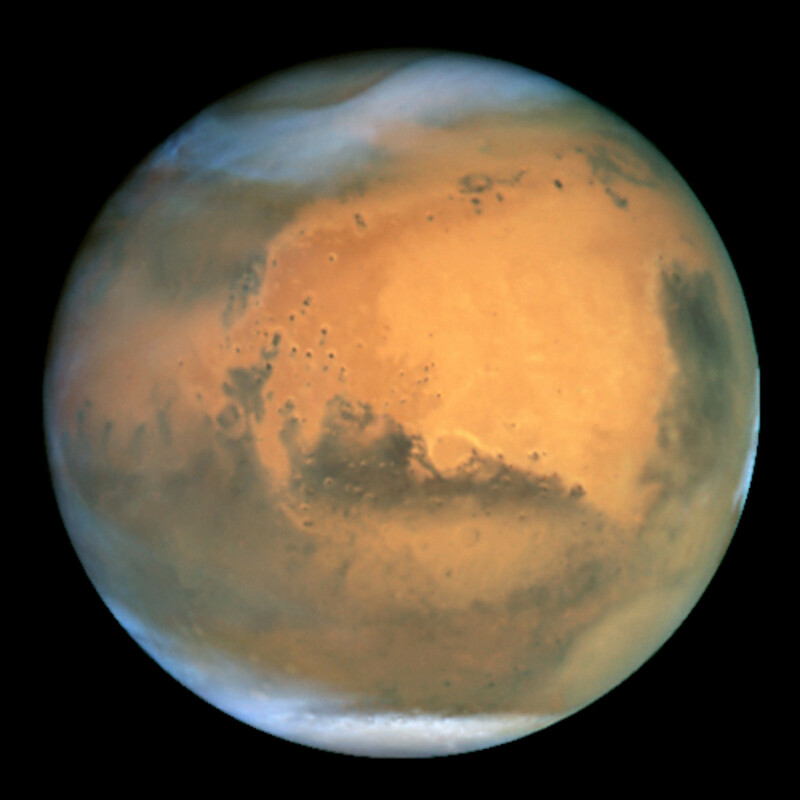 It cost $250 million to produce the fuel for the flight to Mars – a mere 10 milligrams of positrons! Coming around every two years or so, the minimum-energy launch window is at hand. In the year 2030, it’s time for launch! The crew of the Zephyr are an international trio: Commander Ramon Sanchez, Hispanic American; Chief Engineer Julie Lee, Chinese (the only woman in the crew); and Mick Richardson, Afro-British, the science officer. All three are between 35 and 40 and have landed on the moon in various recent flights. For many months they trained in the United States and also aboard the ISS. The Zephyr drifts in orbit, ready to go. Strapped into their seats in the fore section of the ship, the crew waits anxiously, knowing that launch is always one of the most dangerous points of any journey into or through space. But if the positron reactor exploded, the gamma rays emitted would be short-lived and not very energetic, a definite safety feature for such engines. In fact, the crew would probably survive such a disaster, though, if it happened at Mars, they wouldn’t have a way home! The countdown begins, and then Sanchez ignites the engine for a long burn designed to propel the vessel to over 100,000 miles per hour, to a point where Mars will be in about 14 Earth days or 36 million miles away. As usual, Ramon Sanchez appears stoic. He rarely smiles and few have ever seen him laugh. In contrast, Julie Lee smiles easily and laughs often, while Mick Richardson is talkative, affable and jaunty. The burn ends without mishap, and then Julie Lee runs a system check, while the others retire to the crew chamber in the mid section of the ship. 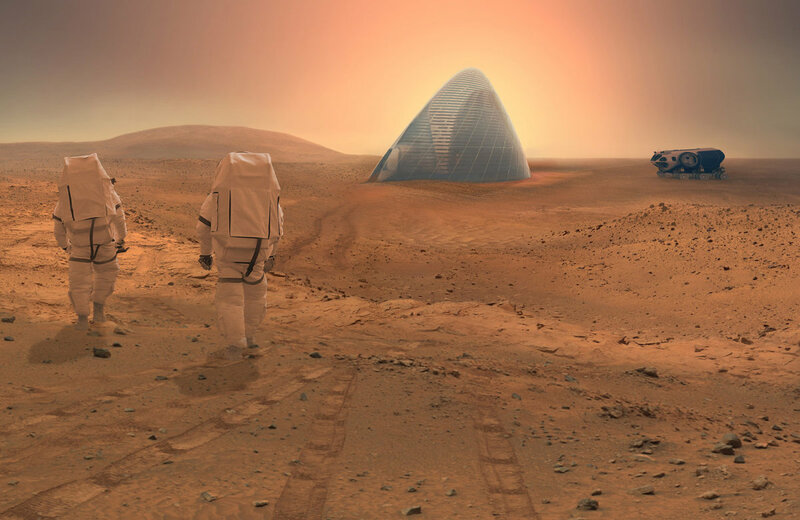 The advantages are many for a short trip to Mars, and most lessen the dangers of space travel. First, the crew won’t need to exercise constantly to prevent the atrophy of the cardiovascular and musculoskeletal systems, one of the major problems working in a microgravity environment. Also, a short trip reduces exposure to high energy cosmic rays, which could cause cell damage or even cancer. A shorter flight would almost certainly cause fewer psychological problems as well. The name is Jupiter, from the galaxy. I came to meet you, to make you free. Deliver to you a flower from a distant planet, from where I come. Mick Richardson, the rather handsome Afro-Brit, hums along with the beat and, at times, snaps his fingers. 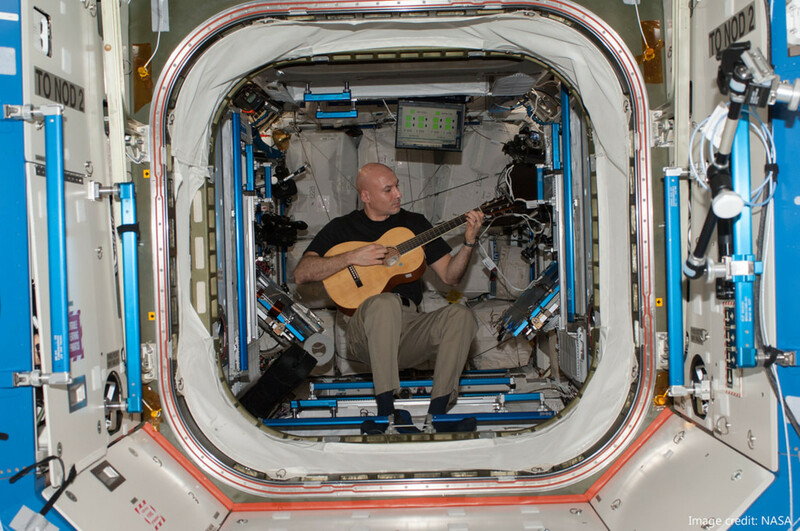 Since video cameras record just about everything the crew does - except in their most private moments – Richardson’s musical enjoyment while walking or jogging could make him a rock star well before he returns to Earth! Later, Julie Lee mentions to Ramon Sanchez that dust storms are kicking up in the southern hemisphere of Mars. 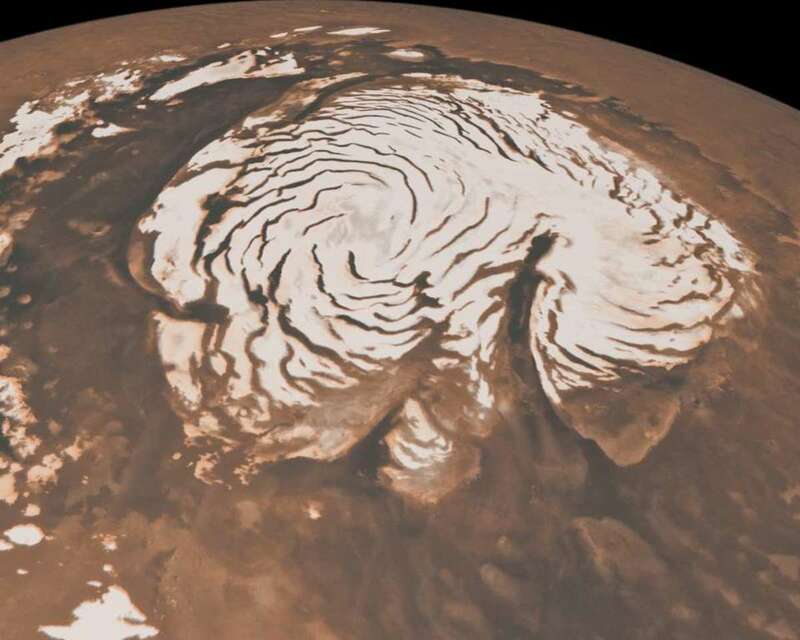 Nearing perihelion, the increase of surface temperature brings about summer in the south, accelerating the sublimation of ice at the south polar cap, creating winds that stream toward the Martian equator at hundreds of miles per hour. Nothing unusual about that, Sanchez says, but Lee experiences a sense of foreboding, the cause of which she can’t explain. Two weeks later, Sanchez reverses thrusters on the Zephyr and begins deceleration, and then shortly thereafter the ship settles into a stable orbit about 150 miles above the surface of Mars. At this point, the crew swaps nods of accomplishment. Lee and Richardson also exchange a hearty handshake. Apparently ignoring the others, Sanchez peruses computer readouts, though he doesn’t really need to watch anything in particular, as the Zephyr is controlled by an automated computer system that needs little human monitoring or intervention. All systems ready for landing, Sanchez tells the others. A moment later, Richardson imitates Sanchez’s serious demeanor, making Lee crack a grin, which she successfully hides from Sanchez. After a good night’s sleep, Lee and Richardson inspect the lander, called the Redbird. This shuttle craft contains a three-day supply of oxygen, food and water. Not necessarily a religious woman, Lee nevertheless says a prayer before the three of them don spacesuits and climb aboard the small spaceship. As the Redbird separates from the mother ship and drops toward the tawny vistas of Mars, Ramon Sanchez wonders if it's a good idea for all three of them to leave the Zephyr. The ship’s computer system is state of the art, but he would at least “feel better” to have a “human” eye in the sky. The chain or command at MINT, however, insists that everyone descend to the surface, at least initially for the BIG SHOW AT TOUCHDOWN. Some 12 feet long, the Redbird holds three people plus a quarter ton of cargo. 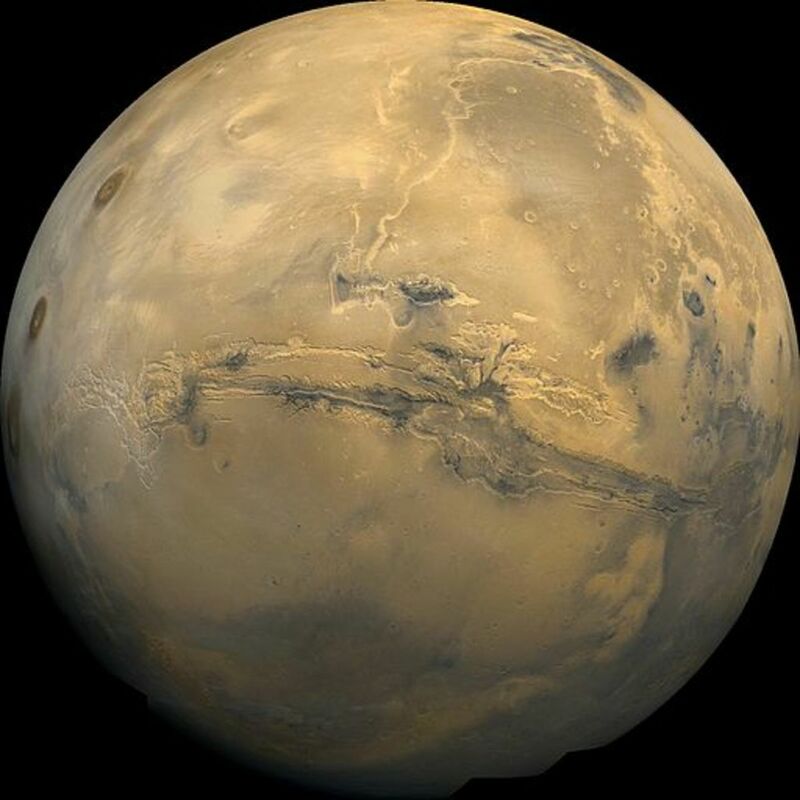 Its power system is a modified hydrogen reaction engine, which burns the oxygen in the carbon dioxide (CO2) that comprises 95 per cent of the Martian atmosphere. (When the ship enters the atmosphere, a solar-powered conversion unit splits the CO2 into carbon monoxide and oxygen.) The ship also contains a 100-gallon auxiliary fuel tank into which water or ice can be pumped, and then, if needed, an electrolysis unit can separate the hydrogen from oxygen. The hydrogen can then be used in the engines on the Zephyr or the Redbird. (Hydrogen is called the perfect fuel.) Of course, the oxygen could be used to help keep the crew alive, if needed! Sanchez lands the Redbird as close to the canyon’s yawning expanse as possible without risking catastrophe, and then the crew deplanes through the open hatch. 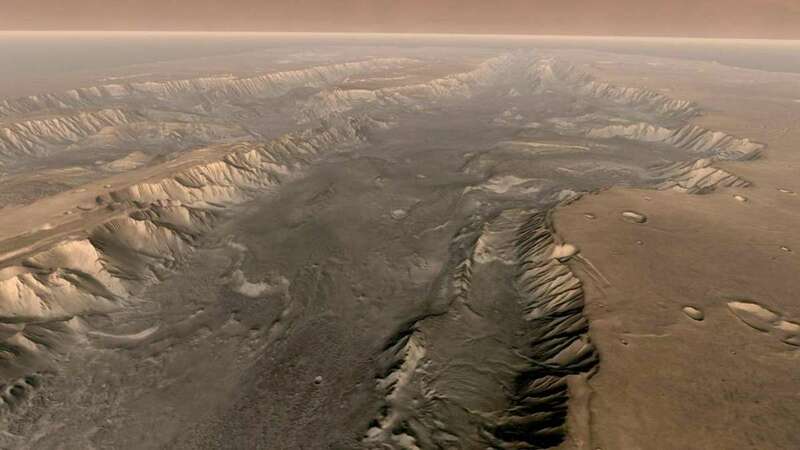 Even though the crew has seen the Valles Marineris countless times via orbital cameras and the electronic eyes of various Martian rovers, the panorama is truly spectacular. Awestruck, Richardson pirouettes slowly, his mouth wide open. Finally, Julie Lee jumps up and down and cheers joyously. Then she and Richardson hug each other and do a little dance, while Sanchez manages an bemused shake of the head. THE FIRST HUMANS LAND ON MARS! Embedded cameras in the spacesuits and in the hull of the Redbird record the scene and then beam it to the Zephyr, which then transmits the show to Earth. Soon, the crew is interviewed by the media giants back home. But, since the transmissions take over three minutes to get from one planet to the other, this interchange is balky at best. The accomplishment of the crew enters the Internet in milliseconds. Almost as soon, employees at MINT light Cuban cigars and make toasts with expensive champagne. And science enthusiasts dance in the streets, while the indifferent remain in cyberspace or watch sports. Sanchez’s attention shifts to a dust storm – a roiling wall of dust and sand about a mile away near the rim of the canyon. Fortunately, it isn’t moving very fast or toward them, Sanchez thinks. 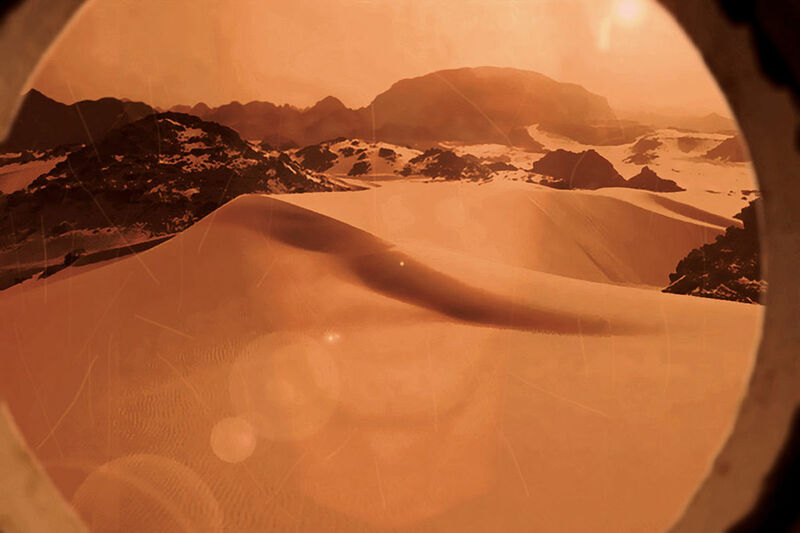 Sanchez checks the readouts in his spacesuit, as shown on the inside of the helmet’s visor, knowing that Martian dust storms raise the surface temperature, at present a relatively balmy five degrees Celsius, somewhat above freezing. He nods pleasantly. Strangely, though, part of the dust storm “separates” from the rest of the thrashing, gritty mass and quickly converges on the astronauts and the Redbird. Did the dust storm just spawn a dust devil? Sanchez wonders. Sanchez draws the attention of Lee and Richardson, both of whom gape at the converging dust devil, the bottom of which is some quarter-mile across. Richardson thinks this spinning thing is so big and bad it might as well be a tornado. Then Sanchez urgently directs the others to the Redbird. The crew hurries to the lander, climbs aboard and shuts the hatch, just before the dust devil envelops the ship. 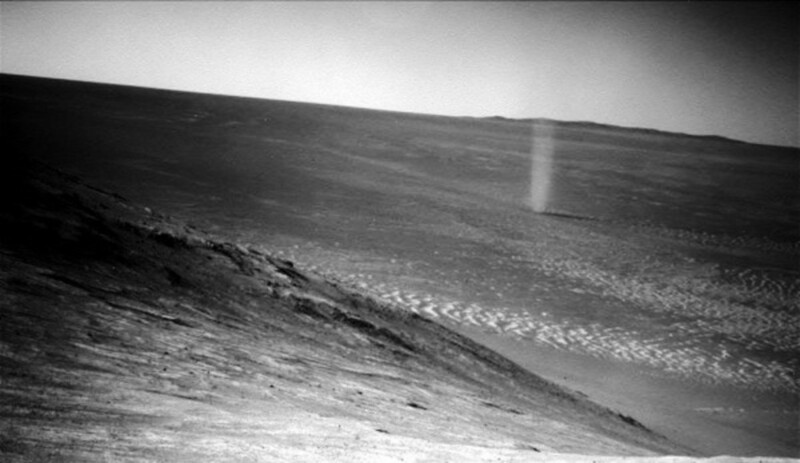 Agape, the astronauts glance left and right as the dust devil swirls about the Redbird. Then a bolt of lightning cracks through the dust devil and zaps the ship. Alarmed, Sanchez recoils into his seat. He realizes that such a high voltage charge could damage the ship. The displays in the ship suddenly shut off, and Julie Lee curses lustily. The dust devil continues whipping and scratching about the hull of the ship like some ravenous monster bent on devouring it. Then, abruptly, the dust devil scuds toward the edge of the canyon, plunges over the precipice and disappears. Chief Engineer Julie Lee opens what could be considered the glove box on a car and pulls out some fuses. She then replaces the ones blown out by the electrostatic discharge of the dust devil. The displays on the Redbird come back to life, and the crew sighs with relief. Time to lift off, Sanchez orders, and the Redbird fires thrusters and soars away from the Valles Marineris. When ya gotta go . . . Soon, Olympus Mons looms up ahead. At over 69,000 feet in elevation, the long dormant volcano is the largest mountain in the Solar System and last spewed lava some two million years ago. 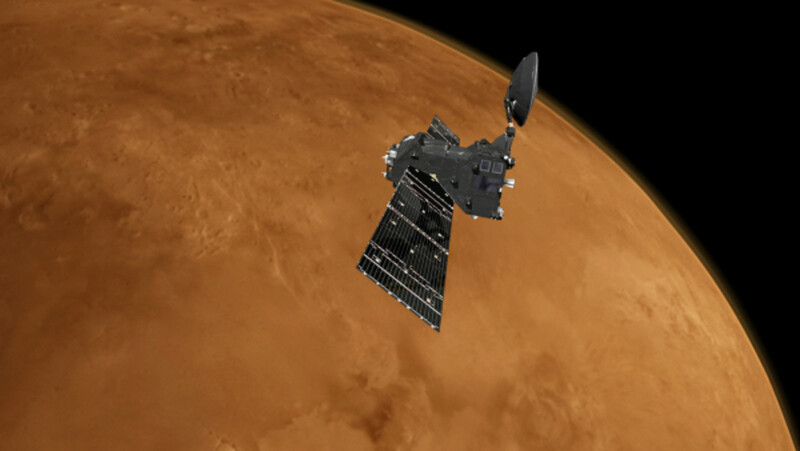 After flying over the caldera atop Olympus Mons, Sanchez swings the Redbird due south, heading for the south polar cap. Then Lee announces she doesn’t feel well and needs to use the bathroom, which the Redbird doesn't have. The crew wears diapers in their space suits, but Lee didn’t want to use hers. She also says she has nausea and may need to vomit. Sanchez frowns thoughtfully and decides to return to the Zephyr, where the only bathroom is available for 36 million miles! After the start of the next Martian day or sol as they are called, the Redbird detaches from the Zephyr and drops toward the south polar cap. 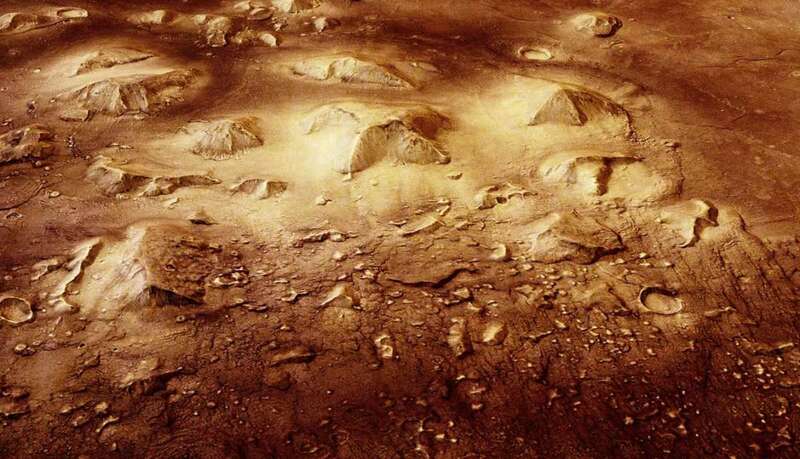 This region is known as Planum Australe. More than two miles thick, the southern cap, like the northern cap, is comprised mostly of water ice. But, in the winter, both polar caps accumulate a thin coating of dry ice. Gazing upon the south polar cap as they approach, Julie Lee says she has a bad feeling about walking around on a miles-thick sheet of ice. Sanchez reminds her that since they are not equipped for ice climbing, they won’t be scaling the ice sheet. Nevertheless, the region, in general, is more dangerous than usual during the summer because of the sublimation of ice, potential floods and geysers. While walking over an area of ground covered with a layer of dirty, mushy ice, Mick Richardson suddenly feels a rumbling underfoot and - just before he can jump clear - a geyser erupts from the ground and spouts straight up, the force throwing Richardson to the side, where he slams and sprawls against the ice wall of the polar cap. Sanchez and Lee rush to Richardson, who’s now covered with dark Martian mud. Presently the moisture in the mud quickly evaporates from Richardson’s spacesuit, and as it does so, tiny squirming “things” seem to come alive, as if devouring him from the outside. But this horrific vision lasts only a few seconds and then all trace of the moving things disappear. Sanchez and Lee stare at each other and exchange glances of wide-eyed astonishment. Now standing, Richardson doesn’t sense any serious injuries and his spacesuit seems fine. But since his suit is now caked with dried mud, the crew must return to the Zephyr, where Richardson can’t wait to run tests on this geyser spewed mud. 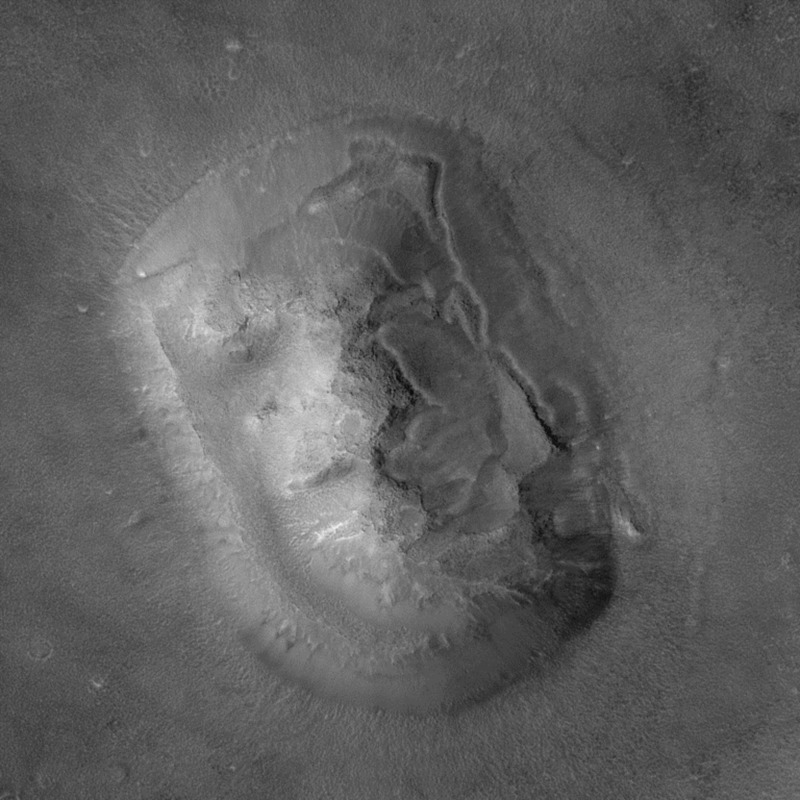 Two sols later, Sanchez flies the Redbird to the Cydonia region, home of the Pyramids and the humanoid “Face” of Mars. Since high resolution photos of the area were taken by the Viking probes in the 1970s, many space enthusiasts claim these landforms were built eons ago by intelligent Martians. But recent investigation by much more sophisticated orbiting probes have almost certainly proven they are simply landforms, which, at certain times, show curious shadows, prompting the imagination of numerous credulous folks on Earth. Per the dictates of MINT, which always opts for the dramatic, Sanchez, Lee and Richardson now approach a mesa with shear, angular sides. Not far from this mesa lies an oval-shaped one, at the top of which, some say, shows a kind of "face" - a Sphinx, one might wonder, for the Martian Pyramids? Once the explorers get within 20 feet of the nearest pyramid-shaped mesa, the wind suddenly whips furiously, creating, near the base of the landform, phantasmagorical shapes in the sand and dust suspended in the air. Beguiled by this weird atmospheric effect, Richardson and Lee nevertheless amble to the base of a mesa and, hammers in hand, begin pounding away at the rock wall, looking for interesting samples. Soon, Julie Lee has the strange feeling she’s being watched by someone or something. So she steps away from the mesa and gazes into the salmon-hued sky, where the sun shines near the horizon. When a moment of epiphany spreads through her consciousness, Lee drops the hammer and swoons, but Richardson grabs her before she hits the ground. Back in the Redbird, Lee regains consciousness. She tells Sanchez and Richardson she had a revelatory dream about Mars. She now realizes that Mars has its own biosphere, including numerous life forms, and that the planet itself has a kind of consciousness that can be sensed by anybody willing to look. She points out that Earth also has a kind of interactive sense of itself, as explained somewhat by the Gaia Hypothesis. Presently turning very serious, Lee says she thinks Mars wants them to leave before they contaminate the planet. Seemingly for the first time ever, Ramon Sanchez tilts back his head and laughs explosively. Seventeen days later when the Zephyr returns to Earth, Sanchez, Lee and Richardson are treated like royalty, given ticker tape parades and numerous honors and also subjected to countless interviews. 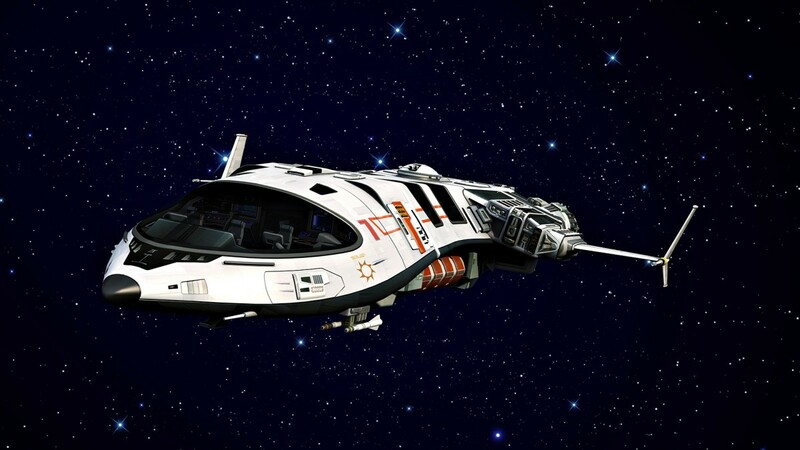 The success of the Ares Bullet Mission eventually spawns a television series, numerous documentaries and a hit sci-fi movie that departs greatly from what really happened, entertaining billions of people, as designed. Within months MINT recoups the five billion spent on the mission and earns a healthy profit as well. 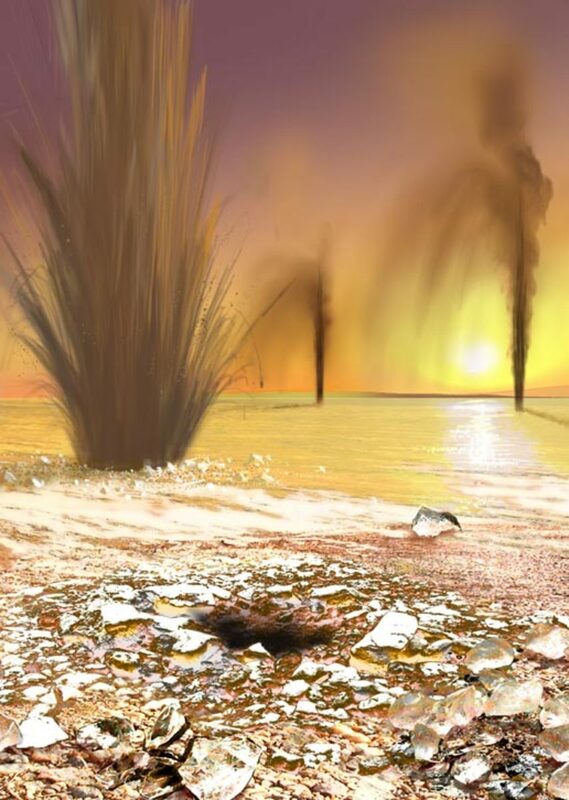 By the way, many Earth scientists suspected that the Martian extremophile Mick Richardson brought from Mars would be nothing but a product of cross contamination between the worlds, but most scientists everywhere now believe he discovered an entirely new species, the name for which he will eventually be given credit. In the meantime, scientists can’t agree if Martian plants and animals should be given different - that is, extraterrestrial - plant and animal kingdoms. Once released from her contractual obligations, Julie Lee lectures around the world about the importance of leaving Mars as it is, without the proposed colonization and terraforming due to begin by 2050. She wants the planet made into a kind of Solar System nature reserve, free from development in perpetuum. Will Julie Lee and her many advocates get their wish? Only time will tell. 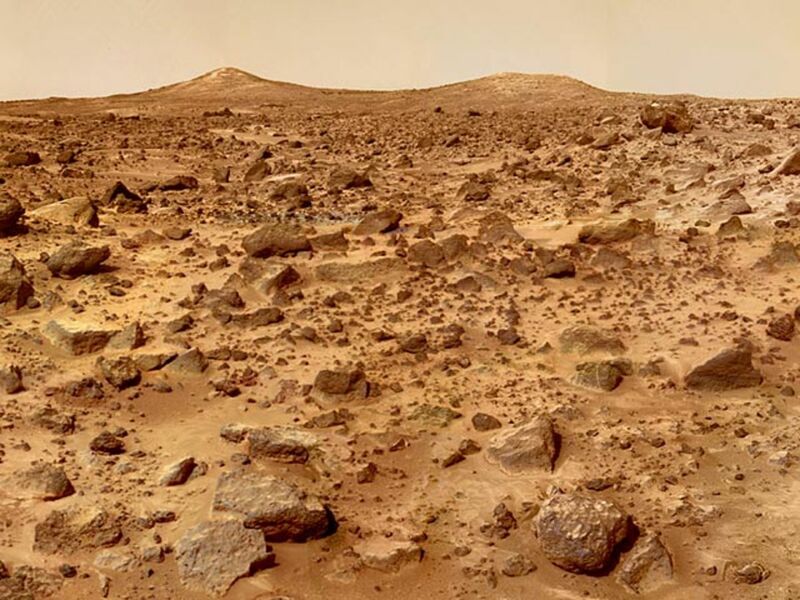 Emin3nt, I think we'll eventually find life on Mars. Nevertheless, after some tinkering life could flourish there, at least under protective domes. Later! Thanks, for the comment, AliceApocalypse. (I love your pen name.) A trip to Mars would definitely be a blast. Later! Yeah, Jalus, the mind trip is the only one I'm willing to make, but it's good enough. Later! Mars...Don't think I'm ready for that journey, but it does make for a pleasant "mind-trip"...Good job! Thanks for the compliment, Fullerman5000. I've never taken a class in astronomy, but I've read a lot about it, particularly in the pages of "Sky and Telescope" magazine and watched TV shows such as "The Universe." Later! I enjoyed this hub very much. 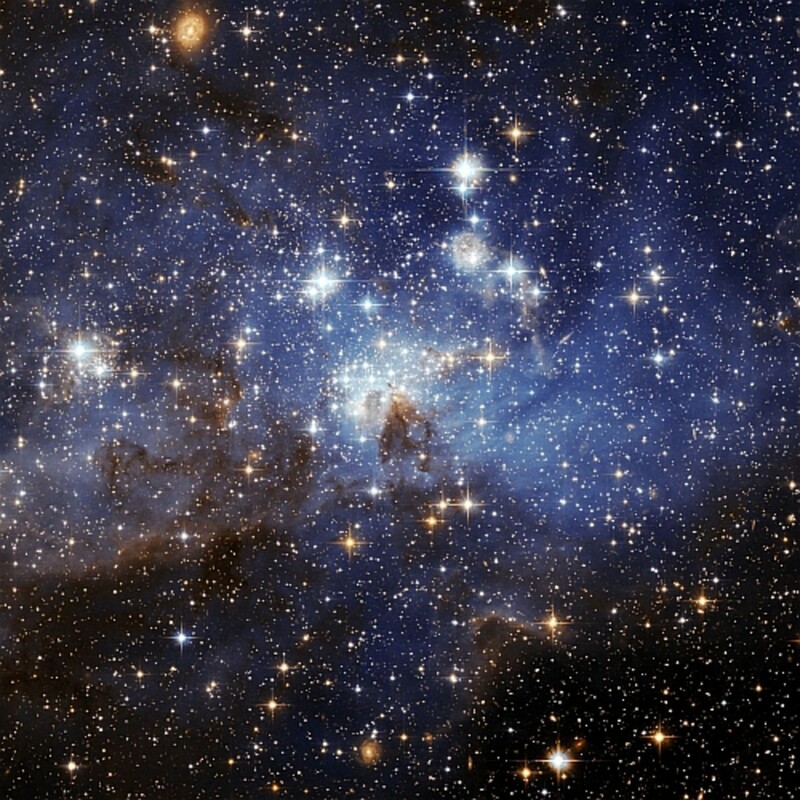 I love astronomy and took a class in college. The professor would constantly tell us that Mars is probably going to be lived on soon by humans. By soon im sure he means many many years. But it has a lot of characteristics like Earth. Thanks for the compliment, prasetio30! I get the chills every time I think about the exploration of Mars. She is truly a beautiful woman, you know what I mean? Later! This is super hub from you. 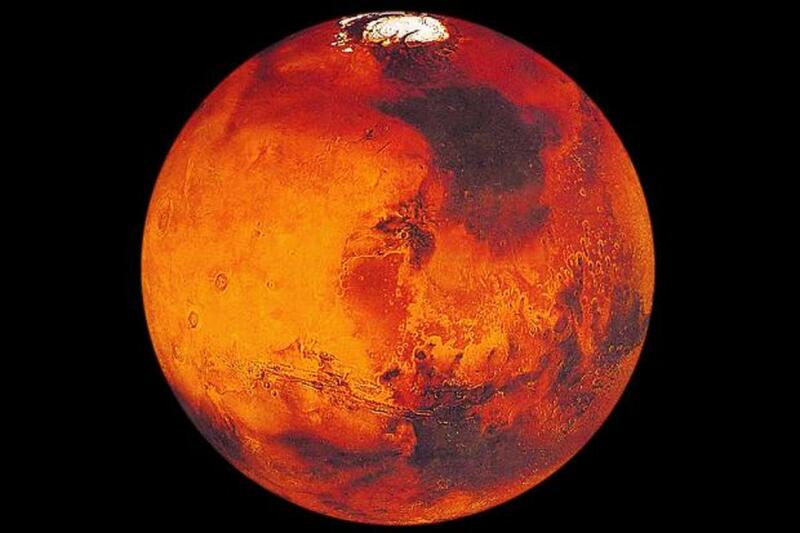 I am glad to know about the human exploration in Mars. Probably there's an opportunity for human to live in Mars. Great research and I learn much from this information. Thank you very much. Have a nice weekend! Yeah, well, we aren't going to Mars any time soon, because the trip would be incredibly expensive - unless we make a fast, cheap trip as I described. Regarding human evolution, will we ever be "good enough" to colonize another world? Who can answer such a weighty question? Later! Thanks for the compliment and comment, Granny's House. We probably should leave Mars as it is, but can we afford to do so? We're running out of room here on Earth. Yikes! Later! Thanks for the link, major82. I'll check it out. Later!